Our Fuel Master Fuel Management Systems offer security, usage management reporting (IFTA), and fuel usage projection for future jobs. Fuel Master communications work off a LTE/3G-4G cellular modem with signal boosting antenna for successful communications in the remote areas. 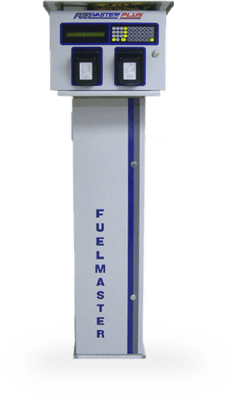 Fuel Master can produce weekly reporting of all fueling transactions, quantities dispensed, and totals used during the selected time period. On-hand fuel inventory is monitored 24 hours daily and replenishment is ordered automatically as required. You never have to measure the fuel, or call to order. Data collection begins the moment the driver starts fueling. From there, all information is sent directly to the Fuel Master dispenser where it is recorded. The transaction is complete when the nozzle is removed, eliminating inaccurate or incomplete data. FUEL MASTER IS THE SYSTEM OF CHOICE BY THE US MILITARY FOR SECURITY AND INVENTORY MANAGEMENT.